Has your Family Dollar Store shopping experience turned into a nightmare due to an accident where you or a loved one sustained personal injuries? You are not the first one, and you should talk to a Fort Myers personal injury lawyer as soon as possible. 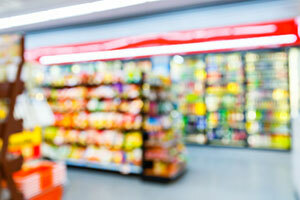 Retail stores face injury claims on a regular basis and have implemented practices for dealing with them. First, they'll try to refuse the fact that the accident happened and that it was their fault. If it were too obvious to ignore, they might be quick to offer you a minimal compensation package. However, it will rarely be enough. They may try to offer you something just to get rid of you, but you shouldn't accept that before you talk to a Lehigh Acres accident lawyer. In most cases, that is not the compensation you deserve. Instead, call the Lehigh Acres Family Dollar Store accident lawyers at the Wolfson Law Firm for help. We have dealt with accident cases in Florida since 1963 and we are here to help you as well. You focus on your physical and emotional recovery and leave the legal recovery to us. You'll pay nothing until we recover for you. Call our Lehigh Acres personal injury attorneys now at 239-777-9954. Our consultations are always free. They serve the residents of Lehigh Acres, as well as the people from surrounding areas, such as Gateway, Buckingham, Alva, Olga, Cape Coral and Fort Myers. Family Dollar Store owes visitors a duty of reasonable care. It means that they must undertake all the necessary and reasonable measures to prevent foreseeable accidents and injuries. When they breach this duty due to negligence and that causes an accident and injuries thereof, they may be held accountable and ultimately made to be responsible to pay just compensation. If your accidents happened at a Lehigh Acres Family Dollar Store, you may be entitled to collect reasonable compensation. Do not hesitate to call our Lehigh Acres Family Dollar Store accident lawyers at the Wolfson Law Firm for help. We are bilingual and ready to help you get compensated as you deserve. Call us at 239-777-9954 for free consultations. We don't ask for fees unless we recover for you.